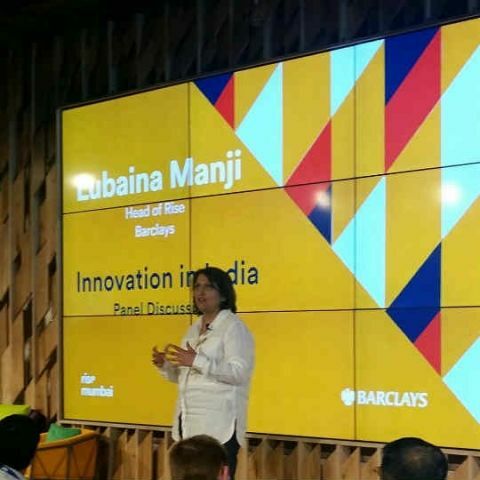 Barclays, one of the oldest banks in the world with a history of over 300 years in the banking sector, has brought its fintech innovation platform 'Rise' to India in the form of Rise Mumbai, a physical space right in the middle of Mumbai’s financial sector at Platinum Business Park in Lower Parel, designed keeping in mind the requirements and work culture of the startups. The space will be available to the most innovative fintech companies that are making a mark in the startup world, giving them a co-working environment with state-of-the-art event spaces and meeting rooms. This site is Barclays’ sixth site around the globe, with the previous ones being in London, Manchester, New York, Cape Town and Tel Aviv. At the launch, Barclays explained that Rise is more than just a physical space for the startups and they also have the opportunity to actively collaborate with Barclays, benefiting from their extensive experience while solving problems with their disruptive approach. It is quite obvious that this association would be beneficial to any fintech startup as they also get exposed to Barclays’ clientele who might be potential customers for their own services. Although this was mostly referred to in an abstract manner, it was revealed that the Rise sites around the globe have a 3-tiered membership structure with the base tier being free and only providing access to the space, with higher tiers opening doors for mentoring and collaboration with Barclays. As a part of the Rise program, Barclays also conducts hackathons and accelerator programs. In fact, they have already conducted the largest hackathon in Mumbai in collaboration with Ace hacker and plan to launch their globally successful Accelerator programme here. For the same, their local networking partners are Zone Startups, who have their own accelerator programme running out of Bandra-Kurla Complex. Post revealing the details of the Rise Mumbai program the event had a panel discussion regarding the future of fintech, where Shinjini Kumar (CEO, Paytm), Naveen Asrani (Director - Startups, Microsoft Ventures), Satya Bansal (Chief Executive, Barclays Wealth and Investment Management, India) and Bala Deshpande (Senior MD, New Enterprise Associates, India) expressed their opinions about how machine learning, mobile, digital neighbourhoods and product innovation are going to change the way we deal with our finances. Anytimeloan.in - P2P lending for Need loans, K12 Education loans and SME loans, Using AI to judge willingness of user to pay back based on more than 118 non financial data points (which even involve facial analysis) along with financial factors. FluidAI - Gesture based smart ATMs that sell banking products to customers after analysing their data from 100s of data sources. As of now, no exact details about the application procedure for this opportunity or membership tiers have been revealed. Stay tuned to this space for future updates on the same.